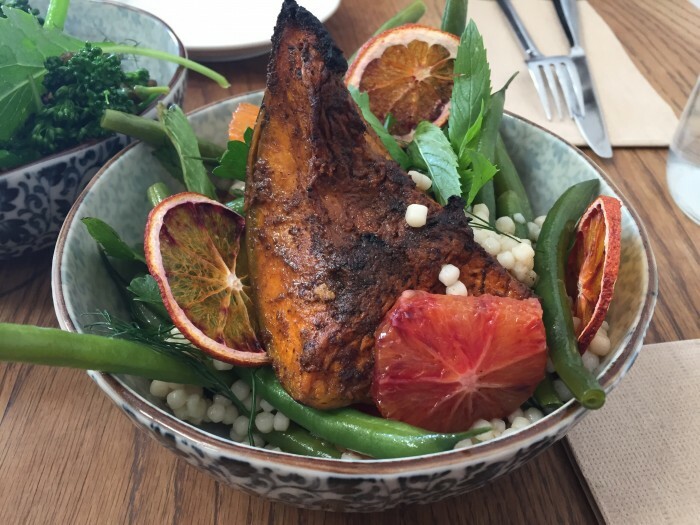 This is the last of my eating posts from my trip to Sydney. Mecca in Alexandria was my home away from home, providing breakfast most days and lunch one other. Mecca is a coffee roaster and cafe in an industrial part of Alexandria near the rapidly developing Green Square precinct just one stop from Central. It is not vegan but I managed several toast centred breakfasts along with a couple of really standout other meals. On the first day my friend and I shared two salads for lunch. 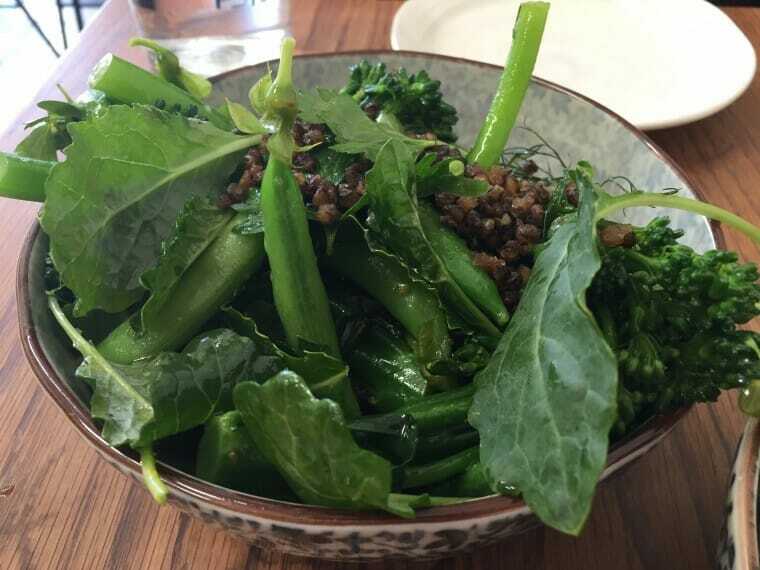 One was a pumpkin salad with roasted pumpkin, Israeli couscous, green beans and roasted and dried oranges, the second a small French lentil, sugar snap peas, broccolini and green beans with leafy greens. Both were delicious, simple but perfectly done. On my last breakfast I finally opted for the sandwich of the week which had been calling to me for several days from the specials board. 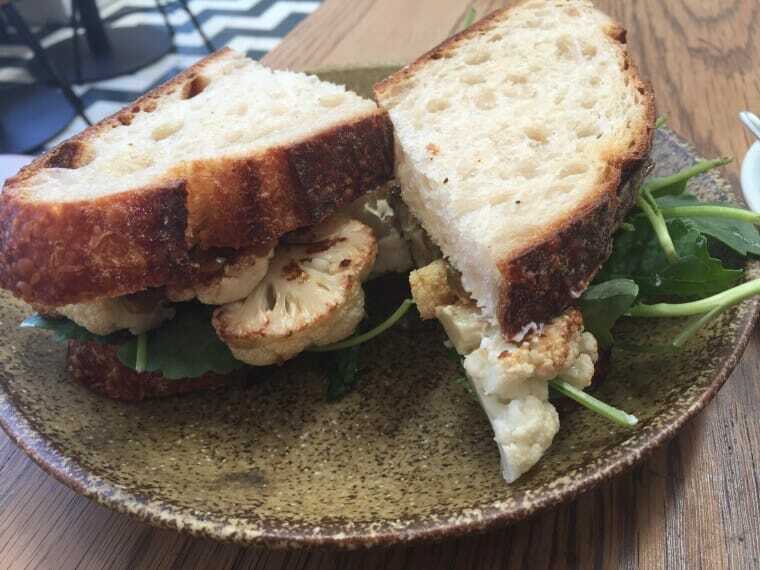 Roasted cauliflower with miso and tahini and a chilli eggplant relish with rocket on beautiful sourdough. Great. The food is simple but perfectly executed. Of course the coffee was impeccable.